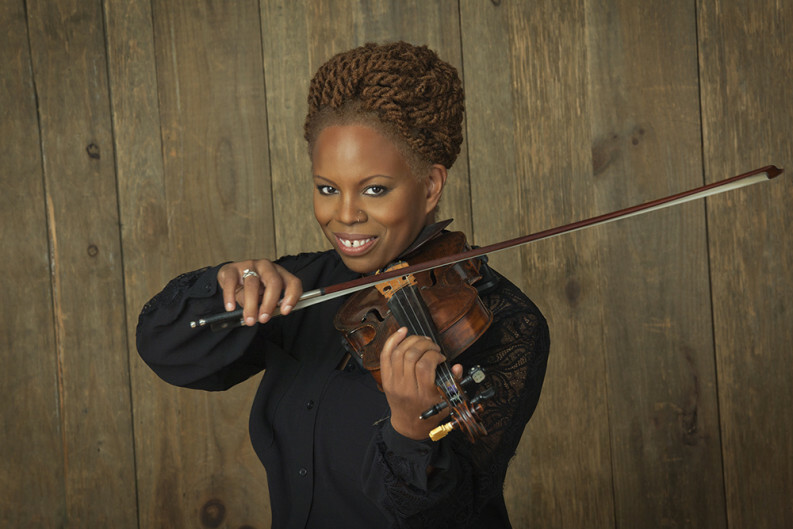 When Regina Carter decided she wanted to switch from classical music to jazz, in the mid 1980s, she transferred from the New England Conservatory of Music, in Boston, to Oakland University, in Rochester, Mich., near her home town of Detroit. There, she found a distinguished jazz department—but no formal program for violin. That unorthodox education paid off—in the 30 years since landing among those undergraduate saxophone players, Carter has become the most celebrated jazz violinist of her generation, known for a full, emotional tone, nearly flawless technique, and a restless creative imagination. With her own band, she has recorded jazz standards, traditional African music, country and folk tunes, and pieces from the classical canon, and she’s collaborated with Mary J. Blige, Billy Joel, Aretha Franklin, and Wynton Marsalis. Part of that has been necessity. Even though the violin has been a part of jazz since its beginnings—from black Southern string bands in the 1920s, New Orleans swing orchestras, and Stéphane Grappelli’s work with the Quintette du Hot Club de France in Paris in the 1930s—it’s an often overlooked and unappreciated instrument. Carter has had to create her own path through the contemporary jazz industry. For her show here next week, Carter is leaving her band behind to perform with the Knoxville Jazz Orchestra in a format that will recall her days at Oakland University. Regina Carter performs with the Knoxville Jazz Orchestra at the Square Room on Tuesday, Jan. 26, at 8 p.m. Tickets are $32.50. CORRECTION: An earlier version of this story stated that the New England Conservatory of Music didn’t have a jazz program in the 1980s. The school didn’t have a program for violin in jazz.